On April 20 meeting with Tergo parent initiative, the organization of LGBT parents and relatives, took place in Queer Home Zaporizhia community centre. Mothers not only from Zaporizhia but also from other Ukrainian cities were present on the meeting. The meeting with Tergo initiative was the closing discussion event dedicated to Our Family photo exhibition. 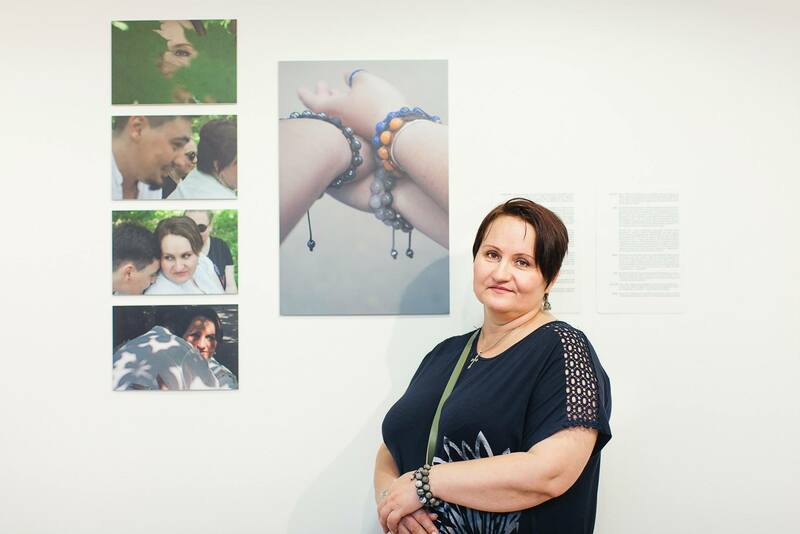 Let’s recall that the exhibition dedicated to the relationships of LGBT Ukrainians with the nearest and dearest could be seen in Queer Home Zaporizhia during a week. Over 40 people came to the meeting, not only mothers but also LGBT themselves. “The meeting was very cordial and warm. Lots of questions about coming out appeared from LGBT teens who didn’t make it yet for their family. There were examples of successful and not very successful telling the close ones about sexual orientation. And the parents shared their stories and gave some useful advice,” the director of Gender Z Zaporizhia region charity foundation Rostyslav Milevskyi told. “Thank you for this meeting! I wanted to hug everyone and help them somehow… We will pull it through!” one of mothers told at the end of the meeting.